It’s the first thing they teach you when you start school. But they don’t need to; your parents tell you when you’re first learning how to say your name. It’s drummed into you whilst you’re taking your first stumbling steps. It’s your lullaby. From the moment it first appears, you don’t tell anyone the name on your wrist. In Corin’s world, your carpinomen – the name of your soul mate, marked indelibly on your wrist from the age of two or three – is everything. It’s your most preciously guarded secret; a piece of knowledge that can give another person ultimate power over you. People spend years, even decades, searching for the one they’re supposed to be with. But what if you never find that person? Or you do, but you just don’t love them? 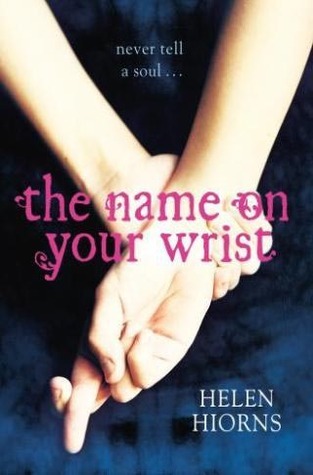 What if you fall for someone else – someone other than the name on your wrist? And what if – like Corin – the last thing in the world you want is to be found? Categories: Dystopia | Tags: Helen Hiorns | Permalink. YA writer. Voracious reader. Feminist. Home educator. Addicted to tea and Twitter.